Sometimes it happens that our system’s performance deteriorates without any reason. This particularly happens in Windows PCs because we install new applications every now and then and finally they accumulate and slow down the PC. This may call for a re-installation of our windows. Installing windows at regular intervals keeps our machine in a good form. But how will you come to know about the date when you installed your Windows. How you can keep a track of it? So to solve this problem, we have some easy methods by which you can check when you installed your operating system. 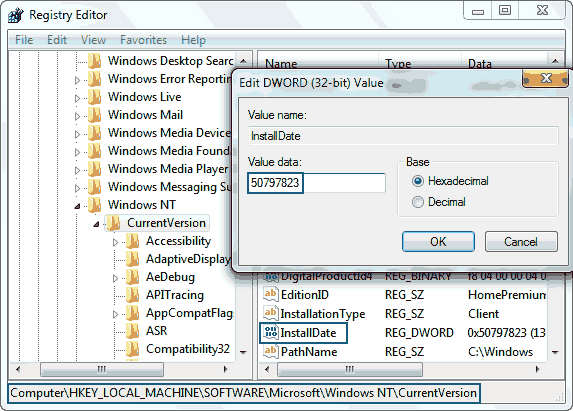 Windows folder is created when the Windows is installed. 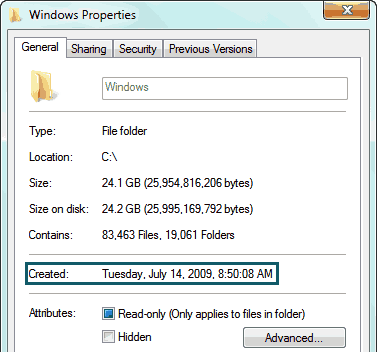 This means that the creation date of Windows folder will match the date when you installed your operating system. So, you can find when the Windows folder was created by navigating to your windows installation drive (usually C:), then right-clicking on the Windows folder and selecting “Properties“. Now you can see the creation date and the day under the label “Created“. This is the date and time when the last time operating system was installed on your machine. There is a slight problem with this method. If you upgrade your Windows from one version to the other, the creation date of this folder is preserved. So you won’t see the date when the operating system was upgraded, but the date that you see will be for the Windows version that was installed earlier. Second reason that this method is not accurate is because if you install the Windows from any image, then the Windows folder will show the date when the image was created and not when the Windows was installed. This is very simple and an accurate method. You can check the creation date of “Users” folder. As this folder is created at the time of Windows installation only, it rectifies the problem we had with the Windows folders’ creation date. The Users folder can again be found in the Windows installation drive. This method is a little complex. For this you need to open the “Registry Editor”. 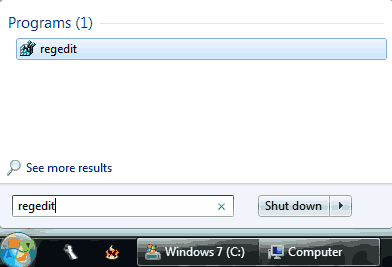 This can be done by searching for “regedit” in the Start menu search and opening “regedit’. Now move to the location “HKEY_LOCAL_MACHINE > SOFTWARE > Microsoft > Windows NT > CurrentVersion“. Now when you get to this location, you can see a registry entry named “InstallDate“. This particular registry key displays the total number of seconds from 1st January, 1970 till the installation time. You need to do some mathematical calculation to get to the exact time when your Windows was installed. You can also change the Windows installation date manually.